It is potentially a match made in marathon heaven – multi-Olympic and World champion and world record holder Kenenisa Bekele, and the flat, fast Dubai Marathon course. 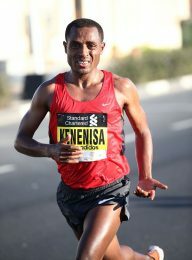 Bekele today confirmed his participation in the Standard Chartered Dubai Marathon on Friday, January 20. And the man who, until last September had looked as if his multi-garlanded career was in decline and his marathon potential unfulfilled, may yet add further kudos to a stellar CV, and hand Dubai its first world record. In the wake of his illustrious compatriot, Haile Gebrselassie, the 34 year old Bekele had dominated world distance track running in the early years of the 21st century; but though running relatively fast times after his switch to the marathon, he had never looked like being as good on the tarmac as on the tartan. All that changed in Berlin last September 25, when he not only triumphed after a terrific tussle with Kenyan hard man, the former world record holder and Olympic medallist Wilson Kipsang, but Bekele also surprised the world and himself by taking the tape in two hours, three minutes and three seconds, just six seconds off Kenyan Dennis Kimetto’s world mark of 2.02.57. That was two minutes faster than had previously achieved, and is an Ethiopian record, but better still, is the second fastest in history. And it has given Bekele such impetus that he is even thinking of returning to international championship competition, informing the Ethiopian federation that he is available for the IAAF World Championships in London this coming summer. But first, Dubai in ten days’ time, when there is further business to be attended to – given that he ran there in the 2015 race, and had to drop out after 30k with an injury (see photo). “It was fantastic for me to get a personal best, but I’m still disappointed to have missed out on the world record,” Bekele said about Berlin in a statement for the Dubai organisers. “But I could see that I still had to make a couple of changes in my training”. His training might need some sharpening but there is no question about his tenacity. Three times in Berlin, eventual runner-up Kipsang led by up to 25 metres, yet every time Bekele fought back to draw level before he finally imposed his will on Kipsang, and sped on to victory. “It’s a massive boost to have Kenenisa confirmed for the 2017 staging of the Standard Chartered Dubai Marathon,” said Event Director Peter Connerton. “His performance in Berlin proves that he is now very comfortable at the distance and we know he has unfinished business in Dubai after dropping out here two years ago”. Bekele still holds the world records for 5000 and 10,000 metres, and at those distances, he is one of only a handful of men who have won the Olympic double, and was the first man to win the World Championship double. Including all the cross country victories to his name, he has accrued 16 World titles; and may yet add another.  “If the Ethiopian federation selects me, I’ll run the Worlds in London,” he added.